A new generation of teachers that grew up with technology are about to enter the field, bringing lots of new ideas with them. It’s the job of more experienced teachers to help mentor them. So how do they do it when they may not understand the technology the teachers in training are using? Read more: Experienced and new teachers learn from each other when it comes to technology | wcsh6.com. What is an ed-tech leader? Nicholas Provenzano asks, what makes someone an educational-technology leader? Are there certain qualities that make such people stand out from everyone else? Do they have fancy degrees that make them special? Full Text: What is an ed-tech leader? | SmartBlogs SmartBlogs. As the end of the year draws closer [in the northern hemisphere], it is important for all teachers to start evaluating how things went. One part of this evaluation should be the use of technology. Much as a teacher will look back on the lessons that worked and did not work, it is just as valuable to look back on the technology tools that were effective and ineffective. As teachers, it’s important to try bettering our craft, and reflection is one of the best ways to do this. Here are five steps to help make the technology reflection a bit smoother. 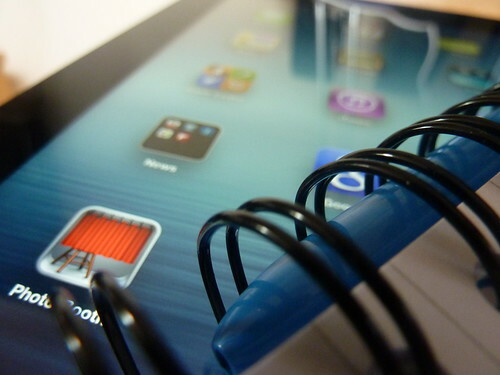 Full Text: Year-End Tech Reflections | Edutopia. In this new age learning that is greatly dominated by the digital revolution, chances are high that you will find two among every five students and professionals enrolled for an online program. Online learning in the age of 21st century joining hands with technological development has reached great heights in making education accessible and flexible for all. The integration of online learning technology has conveniently surpassed all borders and successfully battled the time and distance constraints in reaching everybody’s digital world. Distance learning courses in the new age of digital revolution has moved onto the online module without any absolute hassle. Apple’s iPad has captivated the attention of educators since its inception with the attractive possibility of ever-expanding learning applications and highly portable hardware. This focused attention generated a lot of feedback from educators, which Apple seems to have taken to heart in designing the second generation of the popular tablet. As educator use of the iPad 2 increases, so do the reviews vaunting its usefulness in revolutionizing today’s educational media approaches. The interactive whiteboard has been with us for a while now, but not a common site until recently. They are however getting more portable, more interactive and more digitally savvy.